TAR: Where are we Going? Suggestions for the Future! Topic: TAR: Where are we Going? Suggestions for the Future! Re: TAR: Where are we Going? Suggestions for the Future! Going back to tarflyonthewall’s comment that recent Finale legs have been formulaic. Yes, I agree, it has been predictable, you clearly could predict who’s going to win. Now, Mandoli stated that: “Make it somewhat difficult to find the finish line. I'm not saying that every season should end on a Roadblock, but make it so that teams are using different methods of transportation to make it to the end.” I honestly liked the idea of Mandoli for the sole fact it is different and dynamic. In a way, by making it harder to get the finish line by adding an additional task, let say an obstacle course is an added suspense and more of surprises. For me, I saw what Mandoli wants to point out. She wants an additional task apart from the Detour and the Roadblock to get to the Finish Line, something more climatic, harder and to level out the competition, which for me is welcome. That TAR 24 skydiving to the finish line that you mention that is preposterous is for me and Mandoli’s a good idea. For me that skydiving task had the potential and it could have been better if both team members did it. TAR attempted to do something different once in their Finale and I appreciate that, I look at that perspective. They just need to fix it or take inspiration from it for future seasons. Took the words right out of my mouth. The skydiving finish didn't HAVE to end on a Roadblock, but the concept of having teams find their finish line location from the air to the Strip was pretty cool. It made it harder for teams to find their where they were going. What would you want to tell CBS/WRP if you could? Some are too long to read, and I don't feel like typing every rant I have in mind right now, so I'll just list the important ones IMO. 1. Lessen gimmick seasons. It's okay to have them once in 5 to 10 seasons, but overflowing them in a short period of time is a bad idea. I may or may not like the new twists, but if TAR thinks it's good, too much of a good thing is bad. 2. Cast unfit people and older people. Their chances of winning may be small, but their presence and actions on the show may be fun to watch. Besides, they're really easy to root for. 3. Continue visiting new countries, but also consider countries that have not been visited for several seasons. 4. Have the fast forward appear at least twice each season. I would wish for about 4 times if possible, but at least 2 will do. I miss seeing teams fight for a fast forward, then when at least one of them loses, the fast forward could have cost that team the race. I think fast forwards still have a significance to legs that have them. 5. Self-driving has been a crucial part of the race, so please have this more often. Recent example: Matt & Dana weren't good with self-navigation in Dubai, so imagine having more legs that require self-driving. The game would've played and differently! I like Matt & Dana winning though, but things would've been different if the crucial skill of self-navigation appeared more often. 6. The yield was not a poor idea in my opinion, so having this back could make some legs better. 7. Please have more NELs in earlier legs, so the other teams (who will be eliminated early) could still be recognized and remembered some way or another. 8. TAR is aware that there are fans of the show outside the US, so I really hope secret scenes and missed episodes can be more accessible to those living outside the US. I really don't understand the point of the geoblock. 9. Editing. This has been elaborated really well several times by other people in the forum. 10. 60 minutes, or rather 43 minutes, is not enough in my opinion. Can we please have 90-minute episodes, inclusive of commercials, for some or all episodes? First off, I'll say that any Amazing Race is still far superior to any show on television in my opinion, but I do agree that there are improvements to be made. 2. Casting for sure. I don't have a problem with pretty people being cast, I just want more of a variety and more teams that actually really seem like they want to be there for the competition and the Race and not just to get on TV and try for their shot at fame. 3. More tasks and make them harder! One thing I thought the earlier seasons really nailed is that the tasks were more difficult and really gave teams at the back the chance to get to the Roadblock/Detours, perform well, and pass struggling teams ahead of them. I don't feel like the budget is an excuse on this one because the international versions I think are really running like the early seasons of TAR (task wise and casting wise) and there is a lot of movement in the rankings, and we know they are working on much smaller budgets. I would be okay with having a few legs in the U.S. each season if it meant that we could get more/harder tasks. I'm in the middle of watching the second season of TAR Canada right now, and the tasks and the casting have been phenomenal in my opinion. I really think U.S. TAR should take some pointers from the international versions. I just want a more serious Phil Keoghan Oh the shivers hearing him narrate the "previously on"
5. Harder RoadBlocks and Detours. 6. Rebirth of the Intersection. If these suggestions are taken into conservation The Amazing Race will have more viewers and therefore, more seasons and more excitement! I really enjoy reading all of these suggestions to upgrade the show! I definitely agree with more age and fitness diversity. Like what Debra & Steve said in season 4, "We're fat, we're 40, but we are fun!" And when will see another grandmother (since Jody & Shannon) or grandfather (since Nic & Don)? One of the concepts that dragged me into the show in the first place is its fast-paced editing, suspenseful music, and clear character development like in seasons 10 to 17. I really hope the program style will return to this era of editing because not only were the teams most memorable, it actually felt like I was watching a competitive race instead of happy, smiley travelers. Also, I believe tasks need to make sense enough for Phil to add a little culturally relevant commentary about the task after the 1st place team first unveils the next clue. Otherwise, I will feel like the task is only a filler. Example: TAR28, why change oil in Armenia when it could be done just the same elsewhere (have you forgotten Teri & Ian's Dieselgate situation)? I feel like the sense of adventure of exploring the world and the relationships between and within teams have been pushed aside in favor of focusing on the tasks themselves and forcing drama. I personally think it'd be possible to make a leg without any tasks whatsoever, with clues - actual clues - taking teams place to place. That would be enough to A) show off the locations and B) have teams struggle to figure it out. Just looking forward to more TAR!! Couldn't resist this post in this thread. I have loved every minute! Congrats on posting quintuple fours! Maybe TAR is revamping itself with the editing process and we don't know it yet. Still one of the best finishes of the show EVER. TAR8 also came close with the Bransen and Linz footrace to the Finish Line. I would argue that Finale legs having the Finish Line close to the final tasks are producers trying to recreate magic... but excruciatingly fail (TAR28) or poorly implement it (TAR27 imagine if Justin & Diana finishing the final task so close to Kelsey & Joey. The latter could have still won and the former would still fall to an obnoxious crying finish but it would be much more suspenseful. Instead, the latter was just shown running alone while the former bitched and moaned. It could easily have been edited to be suspenseful, but the editors took the easy way out and phoned it in.). And I also think TAR18 with the bike race was an attempt to do a cool "task to the finish" ending, but since Kisha & Jen seemed so far ahead, not even clever editing could dismiss the fact that the Globes lost lol. Don't forget about season 9 wanting to create a similar footrace outcome as the Family Edition. The final Roadblock seems easy, to us, but no joke to teams with a not-so-esoteric knowledge of flags. I also miss the finales where they edit it as to seem that anyone could claim the million like in All-Stars with Eric & Danielle dreading the red lights, Dustin & Kandice lucking out on rows of green lights, and Charla & Mirna casually "catching up" by finding the SF Botanical Garden on a map and guiding their taxi driver almost effortlessly. The amount of suspense doubled for that particular race, and I was on the edge of my seats crying, laughing, and cheering sometimes all at the same time. I agree with you on every point here rafael. Fast forwards have just died down since TAR20. Hardly any now! Time to pick them back up! Finally, they also need to make sure that the premiere and finale are interesting! We need start and finish lines in Portland, Oregon, Ohio etc. Let's hope TAR29 and 30 take these points into account! As much as I love The Amazing Race, it is not what it once was and I find myself trying to find the DVD's of older seasons so I can enjoy what it once was because what it is now is not so enjoyable. In short, all The Amazing Race is doing now is casting skinny yuppies mostly from California or glamourous states and forgetting about everyone else. Sadly, The Amazing Race Canada is following suit and a lot of good applicants are getting ignored because they aren't skinny, wealthy, well-known, or naturally perfect. The Canadian version had the BodyBreak television celebrities in the very first season, Team Canada hockey players on the 2nd season, a Big Brother showmance couple on the 4th season, and also a beauty queen with her father on the 4th season. Joel and Ashley, however, were a very nice team to have BECAUSE they represented diversity being from the First Nations! There might have been some sort of celebrities on the 3rd season, but casting yuppies/celebrities exclusively totally detracts from the purpose of The Amazing Race and endless celebrities make me not want to watch The Amazing Race Canada. The Amazing Race U.S. is just as bad with doing that and it takes away the thrill of watching ordinary people do extraordinary things. I liked Season 1 of The Amazing Race immensely because there was diversity in the cast and everyone seemed to genuinely enjoy themselves. However, it just seems so mechanical now and I see the Canadian version not lasting as long as its American counterpart if it doesn't have a look at how to make things better. Going to places outside Canada is interesting, but there needs to be more diversity within the casting spectrum like there was in Season 1 and there needs to be more teams of ordinary people who have the belief they can do something extraordinary. Those in charge of The Amazing Race are so very afraid to cast ordinary people who are diverse simply because they don't believe that ordinary people bring value to television, but they are so very wrong with that theory. That, I believe, is part of the reason why the American version of The Amazing Race is having issue with their ratings; they have stopped casting diverse body types and developed a bit of a stereotype in terms of what the best casting choices are. Exposing a diverse spectrum of ordinary people to such a situation and simply watching how they handle themselves is all part of the thrill! I've been a fan of the show since the beginning, but it is not as good as it used to be and that's very sad. 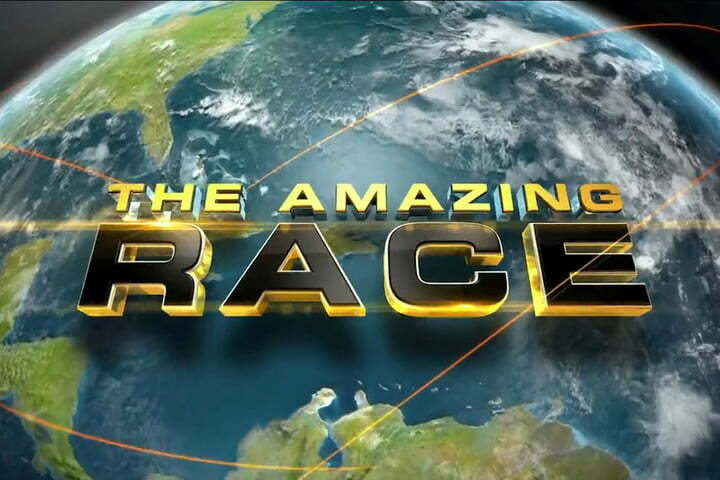 As a show grows older, it should become better and more full of life, but The Amazing Race is slowly beginning to die. I'm still bothered with how the ratings are going. I still do think the long gap from Season 28 to Season 29 contributed to the decreasing viewership. Calling on to the producers to see this thread, there are absolutely lots of great ideas here!!! Was the 29th season originally supposed to air last fall? There’s no point in denying it. We made the show in the summer. We’ve been on in the fall over the last couple of years; we wanted to be on in the fall. However, what we want and what the network wants isn’t always exactly the same thing. They wanted to try something different in the fall so we didn’t make that season’s schedule. Not for lack of trying or us not wanting to be there. They just decided, ‘You know what. Thanks very much. We want to try something else.’ Obviously, a lot of Race fans were not happy about that – and I can tell you all of us who make the show don’t want to wait, either. It’s a very competitive television market today and how am I to judge the most-watched network in the world? They know what they are doing. They’re not a bunch of schmucks. How did you feel about the move from Sunday nights to Thursdays? Do you anticipate a 30th season? Well, it’s really hard to tell. Look, the show’s been rating really well and people have been responding really well to the show. Our fans want the show to continue. I certainly believe the show deserves to come back for 30 because I still believe it’s a quality show and can stand next to the best of any of the reality shows in terms of what it offers. This particular season is a really good one. The first show was a little slow coming out of the gate, in my opinion, because of the people getting to know each other, but the fans loved it. What you’re going to see is that it took about 80 hours before the sparks really started to fly, which is about episode three, and we’re going to kick into high gear by about episode five. And then it’s a really great finish all the way to the end. Celebrity Edition becomes a possibility. Hopefuly just chatter. We do NOT need another gimmick season. We need EPIC and CLASSIC...TAR 5 anyone? Neil Patrick Harris, Sarah Jessica Parker (the first savior of TAR! hehe), Drew Barrymore and Matthew McConaughey all seem like the types who would be willing to do TAR. And they'd be pretty good gets. Julia Louis Dreyfus, Amy Schumer, Kate McKinnon, Kristin Wiig, Chris Rock? Umm... yeah, those seem less likely. A celebrity edition doesn't seem like the thing that TAR needs right now. But if it ever happens, they have to get solidly "famous" celebrities, make sure not to water down the Race in any way and take all precautions to not make the show trashy by casting the wrong "kind" of celebrity. I know many of us hate teams who play up to the camera and put on an act. A cast of celebs could mean 22 people all playing up to the camera and putting on acts. That's probably the biggest negative and strike against an American celebrity edition. Celebrity Editon would be great! WE NEED TAR CLASSIC...check when the ratings drop began.. We haven't had a NORMAL all ages cast in forever. Would Celebrity Edition boost UP TAR rating? Espically if sporting heroes do well??? Just reread the post you've just quoted. I definitely miss a good ol' classic TAR. TAR27 did not deliver well enough. TAR26 was Valentine's edition. TAR28 was social media stars only. I'm glad TAR29 is delivering, but it's a casting twist too. Hopefully the next 3 seasons will be classic-TAR formatted. Hopefully we'll have more than TAR30 in the future. I think the whole discussion is a red herring myself.